The Light show at the Hayward Gallery this is not. You’ll realise that at the door before you enter as the Gallery Assistants let you know it’s very dark inside and there’s to be no flash photography. It is very dark inside. But your eyes soon adjust. As I made my way around the curve, senses heightened and with lights swaying above, I felt like I was a character in a trip-hop or electronic music video. I sat at the head of curve and took the time to watch the lights and listen to the eerie music. It was sort of meditative. 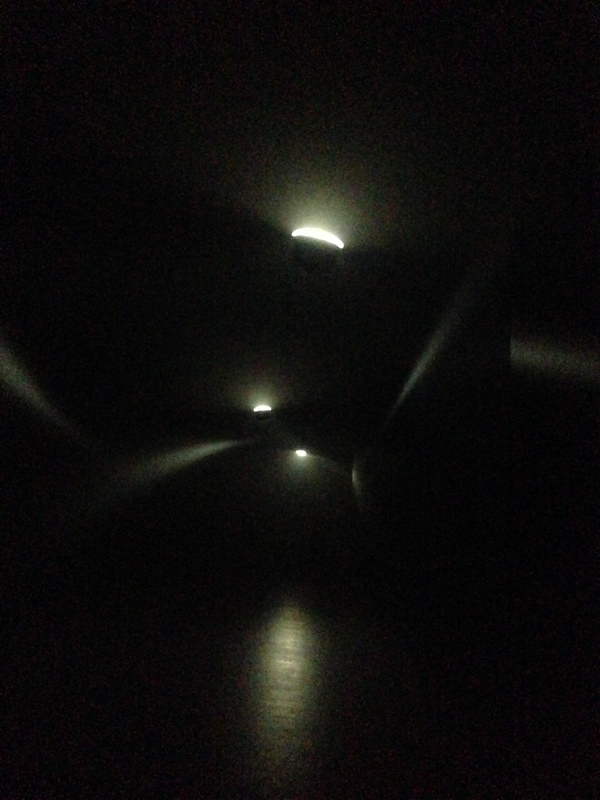 I found out afterwards that United Visual Artists have worked for Massive Attack. Perhaps I wasn’t too far off with the music video feeling. It was a shock when I left the Curve to be back in the hustle of the Barbican Centre. I’m sure I’ll return soon for another relaxation fix.